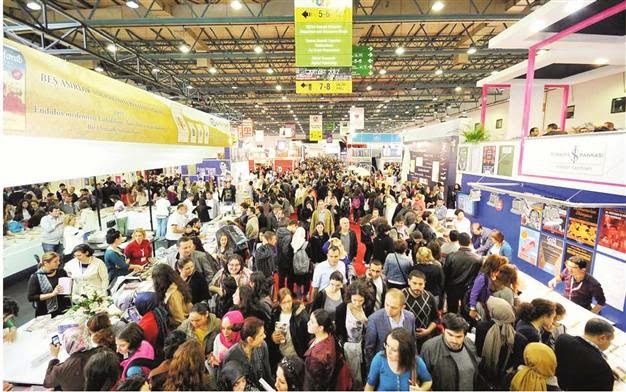 The 33rd International Istanbul Book Fair will be held between Nov. 8 and 16 at the TÜYAP Fair and Convention Center, organized by TÜYAP Fairs in partnership with the Publishers Association of Turkey. The theme for this year's fair will be “100 Years of Turkish Cinema” in celebration of the centennial of Turkish cinema. The Book Fair's Advisory Board has also named doyenne writer and film critic Atilla Dorsay as its Writer of Honor. Hungary will be the Guest of Honor in the International Hall of the fair between Nov. 8 and 11, with classic and contemporary works of Hungarian literature, culture and arts presented to Turkish visitors.